These workshops are devised especially for primary schools, by the artist Stephen Rowley. The story-painting workshops are designed to help the children to create impressive artworks that help build self-esteem. The process involves both developing individual skills and working as a team. The aim is to engage the children in an activity that helps them support each other and focus on producing a high quality of artwork. Having no written language for tens of thousands of years, Australian Aboriginal culture is rooted in storytelling. 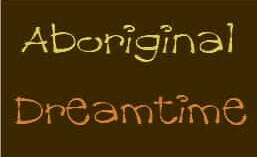 Especially the Dreamtime stories which explain the origins of their environment, the landscape, the plants and animals. The visual expression of these stories into paintings and design is unique. The famous dot painting technique has opened up this culture to a wider appreciation of aboriginal culture in the western world. The ability to convey complex stories through a single painting adds a new dimension to our visual language. Find School Workshops for all subjects in this online workshop directory.